A very well known apple in the Southern Appalachians prized for its outstanding applesauce and apple butter. Wolf River is an enormous apple that originated with William Springer of Quebec, Canada. Springer left his home in Canada for Wisconsin around 1856, stopping along the way to purchase a basket of apples, believed to be Alexander. When he reached his new home near Fremont, Wisconsin, he planted seeds from the Alexander apples along the banks of the Wolf River. Thus was born one of America’s great apples. Fruit is very large and often irregular in shape. Skin is greenish yellow covered with splashes and stripes of red and carmine. The soft, tender whitish flesh is coarse-grained and moderately juicy. Ripens in September and is not a good keeper. I have been picking an apple I have found growing along the roadside in Dryden Michigan. It grows in a ditch next to a country road. It produced a lot of apples two years ago and I picked so many apples I had to make Pie filling for the freezer that lasted till the following summer. Last year we had a extreme winter and it stayed cold till middle spring. Needless to say the tree didn’t produce apples but this year I’ve already picked a couple of bushels and it has at least three more on it. I don’t know the variety so I don’t know when their ripe. But because we Saw apples fallen on the ground I’m assuming they should be picked now. How can I save the seeds for preservation be for the tree gets cut down by a person that has no respect for history of fruit trees? I’m sure the tree is an antique. How do I get it identified? Pleas help. Signed, Lover of anything old or historic.I have taken pictures of the apple but not the tree yet. I’ll be getting those tomorrow. From your description of the location of your unknown apple, I think we can safely assume the apple originated as a wild seedling tree and was not planted by someone in a roadside ditch. It is most likely a tree which arose from seeds from an apple core tossed out by a passing motorist! Being a “wild seedling” the tree can never be identified to any known variety as apple trees originating from seeds develop into entirely new, never-before-seen varieties completely different from the original apple which produced the seeds! 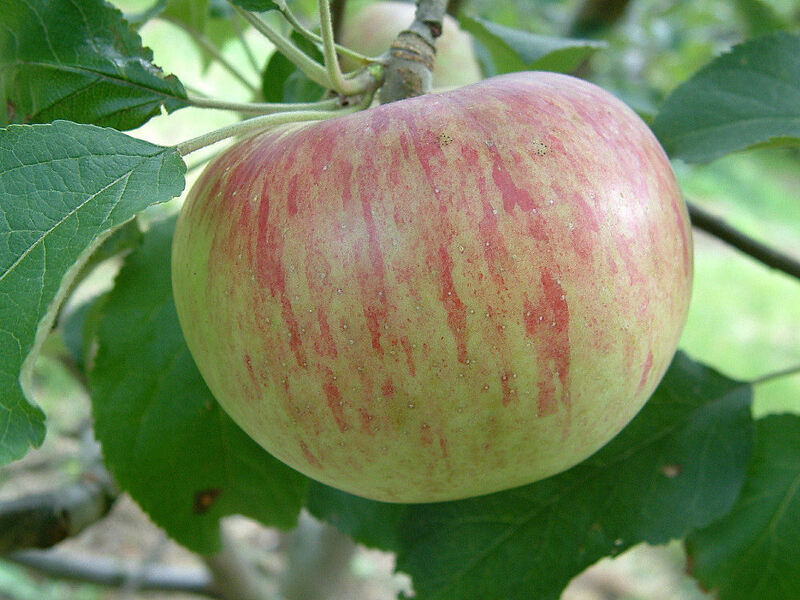 The only way to produce apple trees true-to-variety is by asexual propagation methods such as grafting and budding. Should you wish to save the tree the best solution is to collect cuttings from the tree this winter and send to us for grafting next spring. If you can provide us with healthy, viable cuttings in January, we can graft the cuttings next spring and ship new trees to you in the fall of 2016. For information on how to properly collect and ship cuttings (scionwood), visit our website at http://bighorsecreekfarm.com/collecting-scionwood/. We hope this will be of some help. Thanks for your interest.